The brioche stitch is actually a combination of stitches, forming a ribbed pattern in knitting through a specific repetition of stitches. The brioche stitch is a somewhat advanced knitting pattern. You should be comfortable with all of the basic knitting techniques before attempting it. Once you master the basic brioche stitch, you can branch out into two-color brioche patterns. Brioche stitches will bring a unique texture to your knitted items from socks to sweaters. Cast on an odd number of stitches using worsted weight yarn and size-8 knitting needles. Start with a cast-on of 11 stitches. Slip one knitwise with the yarn in back. This is the border stitch on the edge of your knitted piece. Sip one yarn over. This is the first brioche technique stitch. Bring your working yarn to the front of your work and slip one stitch from the left needle to the right. At the same time, bring the working yarn up and over the needle to the back to make a yarn over. Knit one, then slip one yarn over again. Repeat this across the setup row, ending with knit one. Knit row one of the brioche pattern. To do this, slip one knitwise, then brioche knit one. Knit the slipped stitch and the yarn over the previous row together as one stitch. Slip one yarn over (as in step 3) then brioche knit one. Repeat this across the row, ending with brioche knit one and then a regular knit one. Knit row two of the brioche pattern. Slip one knitwise, then slip one yarn over. Brioche knit one, then slip one yarn over. Repeat this across the row, ending with slip one yarn over and a regular knit one stitch. Repeat rows one and two for the remainder of your knitted piece. Bind off, working all "slip one yarn over" stitches as one stitch when you do so. 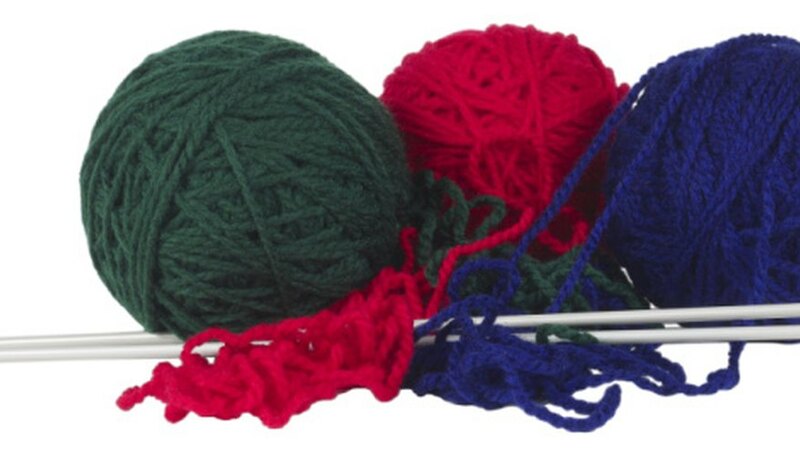 "Slip one yarn over" is usually abbreviated "sl 1 yo," but sometimes can be written as "sl 1, yo" or "yo, sl 1." Brioche knit one is abbreviated "brk1." Knitting Daily: Learn to Knit Brioche Stitch This Weekend!